Hello friends do you know reasons of hair loss in these days hair grows everywhere on the human skin except on the palms of our hands and the soles of our feet, but many hairs are so fine that are virtually invisible. Hairs are made up of a protein called keratin that is produced in hair follicles in the outer layer of skin. As follicles produce new hair cells, old cells are being pushed out through the surface of skin at the rate of about six inches a year. The hair you can see is actually a string of dead keratin cells. The average adult head has about 100,000 to 150,000 hairs and loses up-to 100 of them in a day, finding a few stray hairs on your hairbrush is not necessarily cause for alarm. At any time 90% of hairs are growing on a person’s scalp is growing. Each follicle has its own life cycle that can be influenced by age, disease, and a wide variety of other factors. This life cycle is divided into three phase’s active hair growth Anagen, Catagen, Telogen. There is a natural condition in which the hair gradually thins with age. More hair follicles go into the resting phase and the remaining hair become shorter and less in number. There is another genetic condition that can affect both men and women. Men with this condition, called male prototype hair loss, can begin suffering hair loss as early as their teens or early 20s. It is characterized by a receding hairline and gradual disappearance of hair from the crown and frontal scalp. Women with this condition, called female pattern baldness, don’t experience noticeable thinning until their 40s or later. 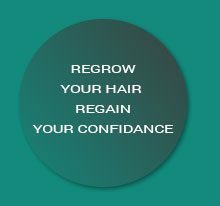 Women experience a general thinning over the entire scalp, with the most extensive a general thinning over the entire scalp, with the most extensive hair loss at the crown. One condition mostly seen in children is a psychological disorder in which a person pulls out one’s on hair. One temporary hair thinning is over the scalp that occurs because of changes in the growth cycle of hair. A large number of hairs enter the resting the phase at the same time, causing hair shedding and subsequent thinning. Scarring alopecia results in permanent loss of hair. Inflammatory skin conditions and other skin disorders often result in scars that destroy forms of lupus. Hot combs and hair too tightly woven and pulled can also result in permanent hair loss.